Since 2004, Frank Family Vineyards has produced a Reserve Pinot Noir ($55) that is only available for purchase directly from the winery. 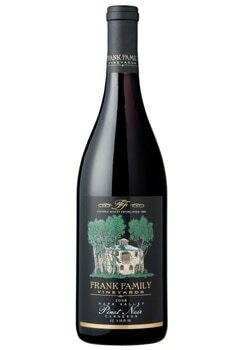 This 2008 Pinot Noir is the first Napa-designated Frank Family Vineyards Pinot Noir available nationally, and only 954 cases of this vintage were produced. The aromas consist of vibrant red raspberry and May Duke cherries, followed by smoked bacon, leather, forest floor and a hint of sweet violet. The palate is supple, polished and layered with fresh strawberries, cranberries, cherry cola, rhubarb pie, cinnamon and honey.